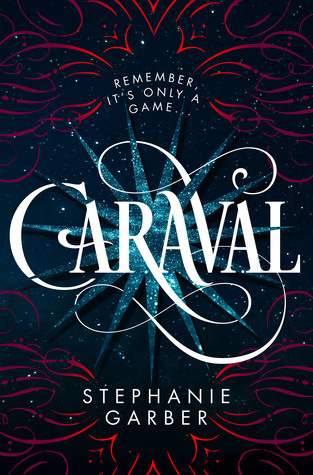 Read a full summary of Caraval by Stephanie Garber below. If you can’t remember what happened in Caraval and you need a refresher, then you’re in the right place. Get ready for the release of Legendary! Julian takes Scarlett and Tella to Caraval. Tella vanishes, and the participants of Caraval have to try to find her. A lot of weird stuff happens. Scarlett falls for Julian. Governor Dragna arrives and threatens Scarlett. Scarlett finds Tella, Tella jumps off a balcony and dies. Governor Dragna leaves for good. Tella comes back to life and says it was all her plan to get the sisters away from their father. Scarlett and Donatella Dragna are sisters. Their mother deserted them and left them with their abusive father. Governor Dragna catches them fooling around with Julian, and Tella blames Scarlett. Governor Dragna punishes Tella for this. He always punishes the other sister when one of them misbehaves. Scarlett receives an invitation to Caraval from Legend. Her grandmother used to tell the girls stories about Caraval and Scarlett has always wanted to go. This time, however, she’s engaged to a count who has offered to take Tella with them when they marry, so she doesn’t want to mess anything up. Tella has other ideas. She gets Julian to help her kidnap Scarlett and take them both to Caraval. Scarlett wakes up on a boat. Julian is rowing them to shore. He has already dropped Tella off. A hole appears on the boat and they have to swim to shore. Tella has disappeared. Scarlett and Julian make their way to Caraval. On the way, they come across a weird guy who seems to have a portal to Tella. Scarlett is tempted but she doesn’t take his offer. They make it to Caraval and Julian convinces Scarlett to participate. They have to get to the inn before sunrise. They don’t quite manage it, and Julian gets locked out. Scarlett convinces the innkeeper to let him in by telling her that they’re both Legend’s special guests. They’re given a room to share and Scarlett insists that they alternate sharing a bed. Scarlett hears Tell’s voice coming from another room. Tella tells her to go away. Scarlett sits in the corridor and a guy called Dante offers her his bed. When Scarlett wakes up, she visits Tella’s room. It’s a mess. Scarlett finds an item that didn’t belong to Tella – a picture of a castle. Scarlett and Julian head to the castle to find he next clue. Scarlett speaks to a fortune teller called Nigel. She tells him that Julian is the most attractive guy she has ever seen (eye roll). Nigel tells her about a guy with a heart made of black that she must follow. Scarlett acquires a potion to protect her against her greatest fear. Scarlett hears screaming coming from some tunnels beneath the castle. Julian meets up with her again. He’s gotten her earring back for her. He’s injured. Scarlett notices that Dante has a black heart tattoo. Scarlett drinks something that makes her see in black and white. She meets someone called Aiko, who has a journal that is still in colour. Scarlett is intrigued. Scarlett walks with Aiko and they come across a carousel. Aiko offers to show Scarlett her journal for a price. Scarlett will need to buy two dresses from a shop. The price for these is two truths, or four days of your life. Scarlett doesn’t answer one of the questions honestly, so she has to give up two days of her life right there and then. Dante helps Scarlett back to the hotel. Julian gives her one day of his own life, and they both die for a day. Scarlett dreams about her grandparents when they were younger. Her grandmother’s name was Annalise – presumably Legend’s Anna. People are gossiping about Rosa, the girl who died during Caraval one year. She was engaged to Dante. Scarlett also saw Legend’s face – it’s Julian. Scarlett wakes up and tries to leave, but she sees her father and quickly hides. She comes across Dante’s body and sees Julian standing over him. Julian tells Scarlett that Rosa was his sister and he was working with Dante to avenge her death. Julian talks about Scarlett’s grandmother and says Legend wants to punish her descendants by breaking up their marriages. Julian admits he knew one of the sisters would be used in the game if he brought them to Caraval. Scarlett receives her dress, which she thinks is a clue. Scarlett comes across a man in a top hat, who turns out to be her fiance, Count d’Arcy. Scarlett’s father arrives. Scarlet and Julian escape on a boat during a thunderstorm. Scarlett’s father catches them. Scarlett pleads for her father to let Julian go. He scars Julian’s face. The count and Scarlett go to the bedroom and Scarlett throws the protection potion on him. Scarlett thinks the clue about the leap of faith is leading her to a balcony. Scarlett and Julian go out during the day. They go through a portal in the middle of the carousel. Legend is on the other side of the portal. He asks Scarlett to choose to see either Julian or Tella again. She refuses. Julian appears, and it turns out that he has been working with Legend this entire time. Legend then kills him. Scarlett finds Tella in a room with a balcony. Tella says she met someone and they’re now engaged. It turns out to be Legend. Scarlett and Tella both get upset. Their father arrives. Tella throws herself off the balcony. Legend makes Governor Dragna leave. Scarlett realises that this guy isn’t really Legend, it’s just some random guy pretending. He shows Scarlett letters between Tella and Legend, which show that Tella got the invites to Caraval in an attempt to get the girls away from their father for good. It turns out that – YAY (eye roll) – Dante, Tella, and Julian are actually alive. Scarlett talks to Julian for a bit, who says he hasn’t aged since he became a Caraval actor and that Legend is his brother. Tella receives a note that says her mother would be proud, and that Tella needs to keep up her end of the bargain.